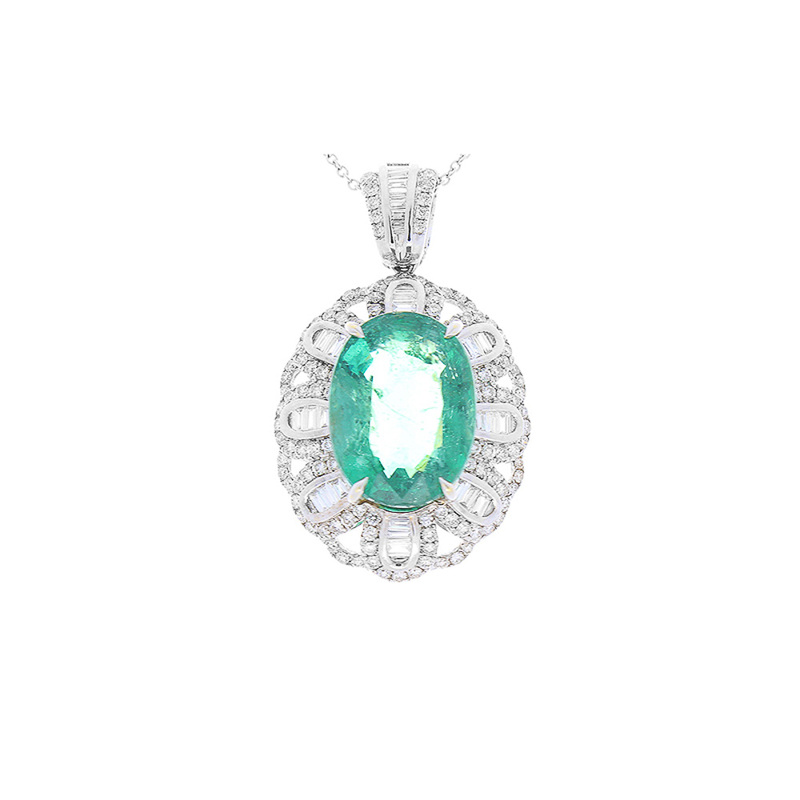 This is a emerald and diamond pendant that has a vintage style and an amazing luster! The ethereal yellowish-green glow found in the 7.80 carat oval emerald is absolutely marvelous. Its origin is Brazil; its transparency is excellent. If its gem coverage that you want, you got it with this size. The 18 K white gold vintage-inspired design is present with 1.04 carats of baguette and brilliant diamonds. The delicate petal shapes in the scalloped design and the diamond accents on the bail take this pendant to next level elegance.